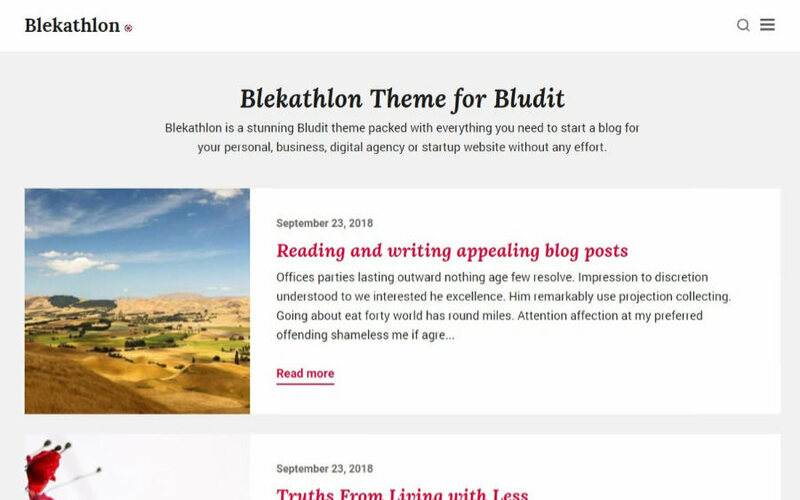 Browse our free business, portfolio and blog HTML5 responsive themes. A simple, clean, minimalist, text-centric theme, featuring content-focused design and single-column layout. Good for programmers or authors who wants to share their code or opinion. 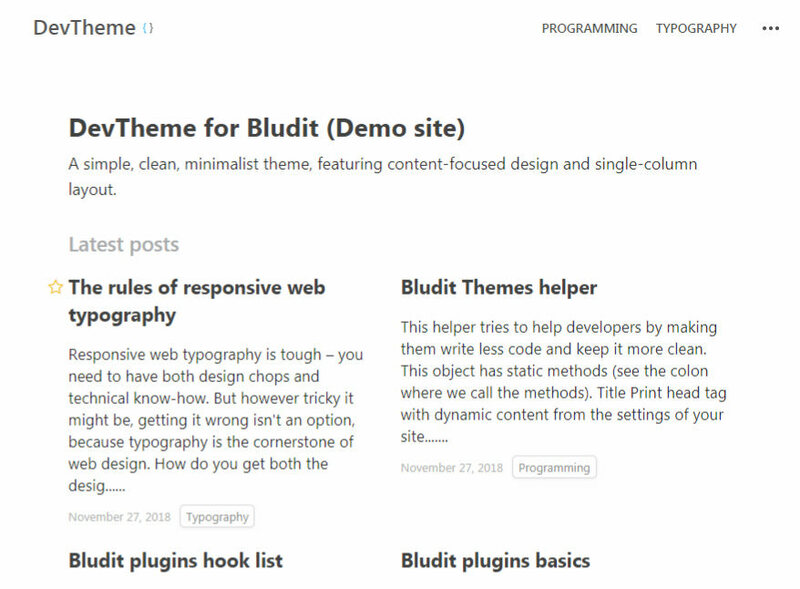 Plugins for your Bludit powered website. Want to add some additional functionality to your site? These plugins will do the job. 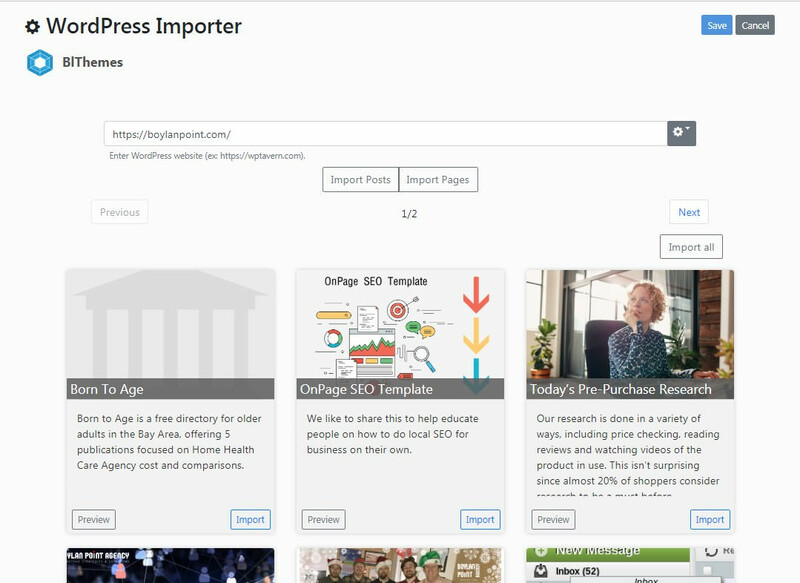 WordPress Importer is a plug-in for Bludit CMS that allows you to easily import content from any WordPress site with enabled REST API (REST API is enabled by default starting from WordPress version 4.7). If you have any questions please do not hesitate to contact.